What’s the difference between TiltShift Lite and TiltShift? FAQs / What’s the difference between TiltShift Lite and TiltShift? 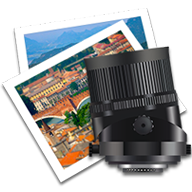 TiltShift Lite only support reading and writing of JPG and TIFF files, while TiltShift reads most common image formats like RAW in addition. TiltShift Lite processes photos in 8 bit color depth, TiltShift does up to 16 bit. TiltShift Lite lacks the ability to store and set presets. TiltShift Lite does not provide a 100% view, it always fits the image into the window. TiltShift Lite always shows the focus control overlay, it cannot be hidden. TiltShift Lite only shows the processed image, TiltShift also offers to toggle to the original image.